Another newsy gift that keeps on giving returns to the headlines this week: the latest in the Borgata’s ongoing “edge sorting” lawsuit against professional poker player and high-stakes gambler Phil Ivey. On Friday, the Borgata filed a cross-appeal regarding the original decision in the case, which went mostly the Borgata’s way when it was handed down by US District Court Judge Noel L. Hillman in late 2016. The giant Atlantic City casino was awarded $10.13 million in that original decision, and like Ivey, the Borgata thinks it could and should have done better. That $10.13 million judgment in the Borg’s favor largely unraveled the original gambling dealings between the casino and Ivey during the four extended visits by Ivey and his partner in the edge-sorting scheme, “Kelly” (Cheung Yin) Sun. Sun, known as the “Queen of Sorts”, used her expertly trained eyesight to assist Ivey in a complicated scheme that induced ignorant and arguably incompetent, negligent Borgata staff to rotate certain cards in the casino’s mini-baccarat game. The 180-degree rotation of some cards allowed Sun to identify tiny print imperfections and help her and Ivey identify probable card-range values in baccarat over time. That shifted the game’s edge to Ivey, the official bettor, and he won $9.626 million over the four multi-day sessions, the last of which occurred in 2012. The difference between the amount Ivey won and the somewhat larger value (over $10.1 million) as awarded by Judge Hillman is due to roughly another $500,000 ordered returned to the Borgata. That was due to a large win by Ivey at the Borg’s nosebleed craps games during one of his four visits, which typically spanned three or four days each. Yet there’s a lot of hype in this latest Borg-v-Ivey update. First, the Borgata’s cross-appeal can be summed up as, “Well, Ivey’s asking for an appeal on the parts he lost, so we may as well ask for a review on the parts we lost as well. No doubt there’s little love lost between the two sides four years into this case, but one has to understand how simple that filing this cross-appeal was for the Borgata. Notice is hereby given that Plaintiff in the above-captioned case, hereby cross-appeals to the United States Court of Appeals for the Third Circuit from each and every ruling adverse to Plaintiff contained in the Court’s October 21, 2016 Opinion and Order and the Court’s December 16, 2016 Opinion, Order, and Judgment, certified as final in this action by Order dated August 28, 2018. Not only is that one paragraph plus the date, it’s actually one sentence. A lot of the stories updating the long-running duel focused on the fact that the Borgata could receive trebled damages in the case, which on top of the other damages, lawyers’ fees, interest and so on, could make this a $40-$50 million judgment for the Borgata if literally everything went the casino’s way. However, this is highly, highly unlikely. While part of the ruling dealt with whether there was an implied “gambling business” contract between the Borgata and Ivey, there was no formal written agreement. The Borg did have such a contractual relationship with Gemaco, the Kansas City-based cardmaker whose decks were specifically requested by Ivey. 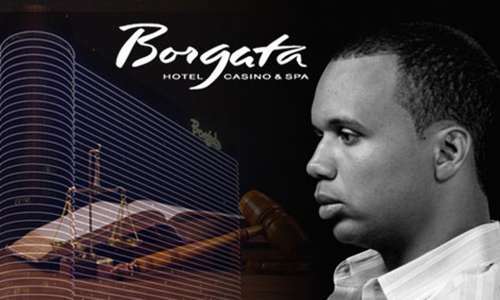 However, the Borgata and Ivey (plus Sun) both dropped their various complaints against Gemaco, one of the mandatory steps needed to allow this case and ruling to be finalized and go to appeal. As it was, Judge Hillman found that the maximum damages the Borgata could have received from Gemaco were $27, making it rather not worth the effort. Yet there’s another problem with the whole “trebled damages” headline rush: Ivey and Sun were never charged by New Jersey’s legal authorities with any form of casino cheating. The New Jersey State Police did investigate the matter beginning in 2012, but no charges were brought, much less successfully prosecuted. That’s a solid blow to any thought of the concept of the Borgata receiving trebled damages… and a huge legal payday. Instead, the essence of Judge Hillman’s ruling was to unwind the gambling action between the two sides, coming close to restoring the initial status quo. $5.4 million in “expected winnings” by the casino had each and every hand played by Ivey during the four multi-day visits been played according to the game’s expected house-edge odds, instead of that variably-increasing edge obtained by Ivey and Sun through the card-sorting scheme. There’s some merit to both claims; however, it’s unlikely the full value requested by the Borgata is an accurate representation of the situation, in either case. First, about those perks. While there is some casino-marketing recruitment involved when trying to entice a gambling whale such as Ivey to a business property, at least some of those perks had to have been earned in some sense due to Ivey’s prior visits to the Borgata, and there’s evidence he’s gambled there before. Lure component aside, at least a fourth of those perks (meaning the first visit) were his to use any way he desired. Second, about the casino’s expected win. Would Ivey have continued to gamble if he’d kept on losing, ending up cashing out with a $5.4 million loss? That seems highly unlikely. 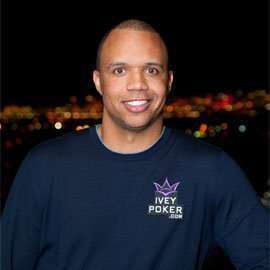 One detail never revealed in the case’s filings was exactly how much money Ivey wired in to serve as a gambling bankroll. Ivey could have wired in $5 million, or $10 million, or more, but there’s also no guarantee he would have gambled that entire wired-in amount away. In that sense, the Borgata’s mathematical “proof” of their gaming damages is highly presumptive and not a reflection of the situation’s reality. Which isn’t to say the Borgata didn’t suffer some additional damages. Ivey received a private gaming table, specially-devoted staff, and other extras that all add up to some far lesser sum than $5.4 million. Had the Borgata submitted a realistic claim for those types of expenses during the initial trial, such a claim might have been granted. Now, though, it might be too late to add in a more realistic claim. The Borgata’s cross-appeal is interesting, at the least. The chalk on this one is that the Borgata does not prevail on any of its additional damages claims, but the $10.13 million from the initial ruling — plus some lawyers’ fees — remains intact. We’ll find out in 2019 or 2020, maybe. Criminals with fancy casinos take their losses seriously. Ivey is the black dude that is paying the price for everyone else (like Michael Vic, etc). Unfortunately, he will probably lose all appeals, no judge wants to have the mob, keeping an eye on them. Ivey I am so sorry, they’re screwing you.